Michael Jordan says James Harden's streak of 30 straight 30-point games and Russell Westbrook's 10 straight triple-doubles are both impressive and tough to accomplish. But the Charlotte Hornets owner said Tuesday — flashing a big grin — that there is one accomplishment tougher than both those feats: "Which is harder from the player's standpoint? Six championships by all means." Jordan praised both players for what they're doing, noting that both streaks are hard to accomplish. Jordan said the milestones show "the talent that we have within the league." 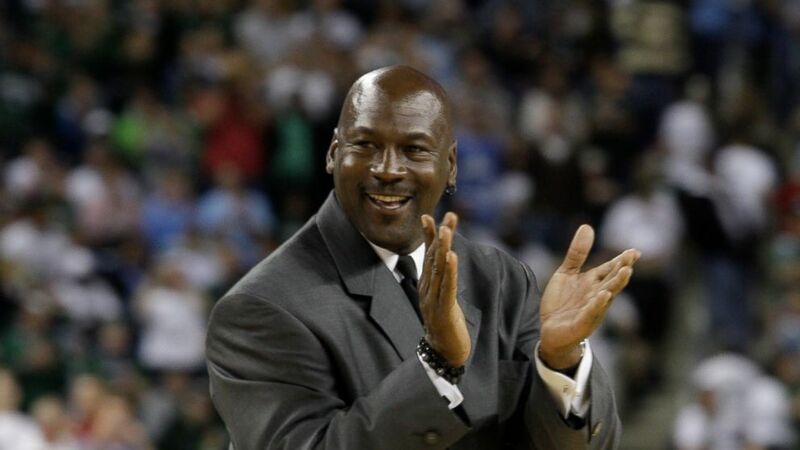 "It shows progression in the league," Jordan said during an interview at his Hornets facility while discussing the upcoming All-Star weekend . "I am very proud of how both guys have done because they are making a mark for the league and I think it really helps grow the league." Harden needed a late scoring spree on Monday night to extend his streak to 30 games, scoring 11 points in the final 100 seconds as the Rockets defeated the Dallas Mavericks 120-104. Harden, who is playing with a strained left shoulder, reached the 30-point mark by swishing a 30-foot pull-up jumper. Westbrook finished with 21 points, 14 rebounds and 11 assists to notch his 10th straight triple-double in the Thunder's 120-111 victory over the Portland Trail Blazers, breaking a tie with Wilt Chamberlain for the most consecutive triple doubles.